Veg Ignitor contains a blend of kelp (seaweed), amino acids and nutrients to stimulate and support growth during the vegetative cycle. Amino acids contain bioavailable nitrogen (N) to support protein production, which is vital for the increased growth induced by the biostimulant kelp. The enhanced shoot and leaf formation provides a strong foundation for healthy and robust plant growth during the vegetative cycle. 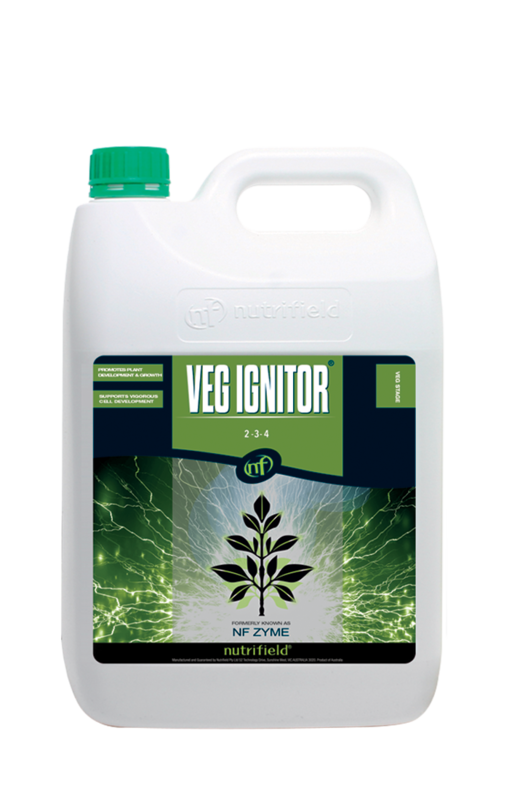 Nutrifield Veg Ignitor stimulates stem growth, leaf production, and branching during the vegetative growth phase. Strong, robust stems are essential to support the weight of flowers and fruits, while leaves perform photosynthesis, which generates the energy required for plant growth and development. Enhanced leaf formation during early developmental stages provides increased energy for accelerated plant growth during both vegetative and flowering phases. Accordingly, robust vegetative growth provides the necessary foundation for increased fruit and flower yield. Nutrifield Veg Ignitor contains seaweed extract which is a well-known tonic. Seaweed mediates the stress that cuttings and seedlings experience during transplanting or repotting. 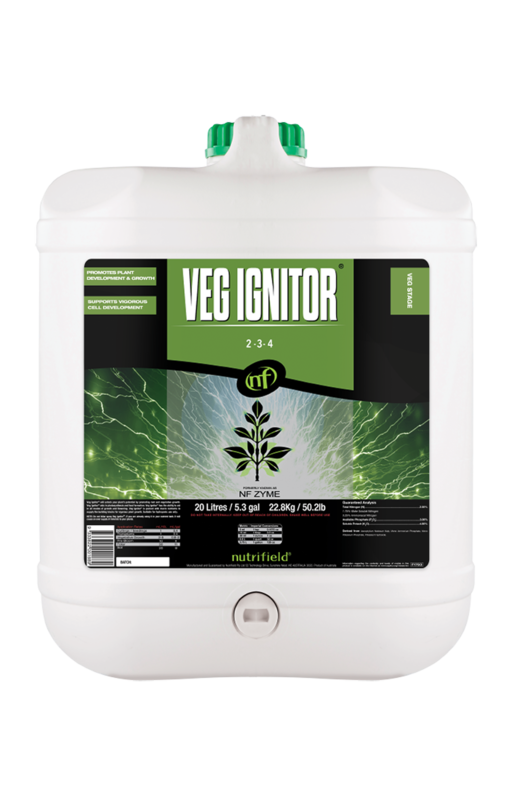 Use Veg Ignitor to ensure a smooth transfer of young plants into new substrates at the start of the growing season.